New Delhi: Say Hello! and explore the world with Emirates’ special September offer on Business and Economy tickets. Travelers from Ahmedabad, Bengaluru, Chennai, Delhi, Hyderabad, Kolkata, Mumbai, Kochi and Trivandrum can enjoy unlimited experiences and make the most out of these limited-time fares*. Passengers can look forward to booking their tickets at attractive fares from 5th-14th September 2018, and valid for travel from 16th September 2018 to 15th March 2019. 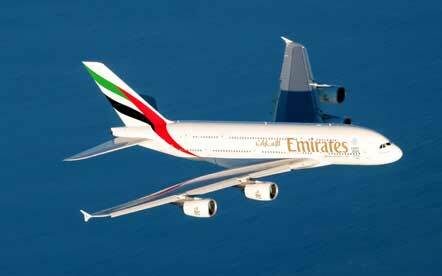 In addition to the attractive fares, students travelling on Emirates can enjoy a more generous baggage allowance. Students travelling to one of our 12 destinations in the US can carry up to an additional piece of baggage weighing up to 23kg, on top of two pieces of baggage weighing 23kg each that they are entitled to. Students going to Australia, Europe and Auckland can carry extra 10kg baggage in addition to the 30kg baggage allowance. The offer is valid for tickets on sale until 31 March 2019 and outbound travel until 31 March 2019. To claim the extra baggage allowance, students will have to submit a copy of either their student Visa/I20/DS2019 form, student ID card and passport copy when they check-in at the airport. Passengers on Emirates can also stay connected with their family and loved ones through our free on-board wi-fi (up to 20MB), and look forward to 3,500 channels on ice – our award-winning inflight entertainment system. *Terms and conditions apply. Our special fares include all taxes and surcharges and are subject to point of origin, availability and fluctuations. Date and flight restrictions apply.